China Global Television Network (CGTN) Sports Editor Saddique Shaban witnessed an accident in Mlolongo and he did everything within his means to make sure the culprit didn’t escape justice. 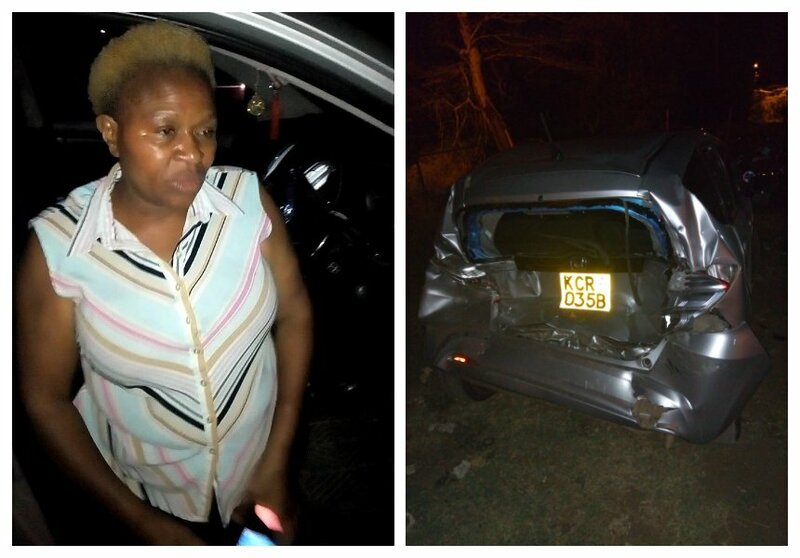 Saddique gave a chronology of the event in a thread of tweets, he reveals that a drunk University of Nairobi (UoN) lecturer rammed into a taxi in high speed nearly killing the three occupants including a baby. “Tonight, with the help of others, we have taken off the road, a dangerous drunken driver, potentially murderous, who nearly wiped out four people on Mombasa road. We hope she will serve as a lesson to others,” Saddique tweeted. “The incident happened on Sunday at midnight and I was driving behind the car and just near the weigh bridge on Mlolongo there are usually a few bumps. And as the taxi in front of the lady’s car slowed down because of the bumps the car being driven by the woman did not reduce its speed and rammed into the taxi,” he explained in another tweet. Saddique shared videos of the drunk UoN driver uttering incoherent words after the accident. She was also bragging that no one could arrest her due to her influential connections.